They feel very comfortable. They are not dress jeans however. Founded in 1973, Bermo Enterprises, Inc. is the largest wholesale apparel company in the Midwest, and one of the largest in the US, headquartered near Kalamazoo, Michigan. We are also into manufacturing, providing private label goods for several prominent retailers, and we’re the exclusive manufacturer of “Outback Rider” quality apparel, featuring jeans, sweaters, flannels and more! For customer service inquiries or to initiate a return, please contact Bermo LLC at info@bermollc.com or (269) 679-2580. Add something a little different to your casual denim wardrobe….You've probably got a lot of shades of blue, so try a little grey! 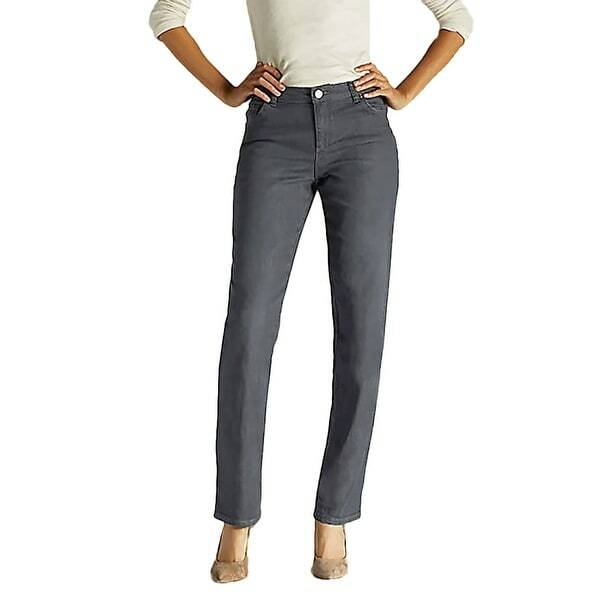 This relaxed fit straight leg by Lee will likely be your most comfortable pair of jeans! Constructed in the classic 5-pocket style of a premium blend of cotton, polyester, and rayon, with just a touch of spandex for all-day comfort. These are perfect for daily wear with flats or sneakers....or dress them up in heels for a night ion the town! Soft washed bluish grey. Looks good, definitely relaxed fit but at least I can put them in dryer and not worry about being too tight like other tighter jeans. These jeans are extremely comfortable. I gave them 4 stars because they are a little baggy on me but not enough that i won't wear them. I'm satisfied with my purchase. I recieved these pants today. I tried them on and they fit perfectly. They are true to size, I wear size 8 and ordered size 8. I am really happy with them. Length, fit perfect, all over feel. Very comfortable. I like the color. Looks great with my spring colors. "What is length of medium?" These jeans are similar to what I usually wear.